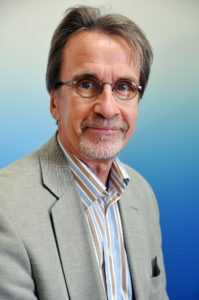 Jaakko Seikkula, Ph.D. is a senior faculty member of the Institute for Dialogic Practice and a Professor of Psychotherapy at the University of Jyvaskyla, Finland. From 1981 to 1998, he was the chief psychologist at Keropudas Hospital in Tornio, Finland. It was during this time that he developed Open Dialogue. His clinical and research interests combine the further development of dialogical approaches with the systematic research analysis of their outcomes and process variables. Jaakko leads the International Meeting for Treatment of Psychosis Network and is a board member of the International Family Therapy Association (IFTA). He is also a member of the American Family Therapy Academy, the Society of Psychotherapy Research and the International Society for Psychological and Social Approaches to Psychosis (ISPS). Jaakko was awarded for his excellence in the field of research in family therapy and systemic practice at the European Family Therapy Association EFTA’s congress in Athens, Greece September 2016.